Having read the entire series, I am going to review it in total. 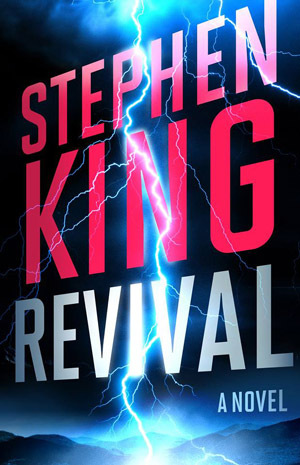 First, this is a great read even if you are not a Stephen King fan, just a fan of good storytelling. There is so much that takes place over the eight books that it feels like a long and fun roller coaster ride. King has a plethora of references that not all readers may get depending on their age, but enough up to date ones that all readers will enjoy. Second, if there is weakness to this series it is the negative side of the references I just mentioned. I found myself saying, “are you kidding me?”, especially when he brings in the Wizard of Oz storyline. There is a reference to objects used in the Harry Potter series that made me wonder why King could not have been more creative rather than “borrowing” from another author. Third, the fact that he does use other writers’ work becomes part of the fun as one reads. King wrote this series over a long span of time but seemed to let himself enjoy every minute of writing. The series shows what happens when a writer lets loose. If all of this sounds a little contradictory then you understand how I felt in reading the eight books. There were times when I laughed, cried, thought I was wasting my time reading, or went “O, My God”. Read the series, enjoy the ride, and may you have long days and pleasant nights. 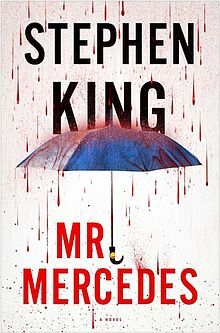 Having read all of Stephen King’s novels I was anxious to read “Under The Dome” and be transported into the imagination of a master writer. It is long, it does have a plethora of characters, and it is well written (I want to go back and mark all the cliche’s King throws in). It is however not his best. For that “The Stand” will reign supreme with ” Cujo” in second place. The “Dome” is a good read but too predictable, and too close to an old episode of “The Twilght Zone”-The Monsters Are Due on Maple Street (1960).